Climate change, with its multiple effects on ecosystems, is likely to change the interactions between an infectious propagule, a susceptible host and favourable environmental conditions, leading to the development of new epidemics. The effect of plant diseases and insect pests on crop damage is recognized because agriculture is highly influenced by climatic factors. 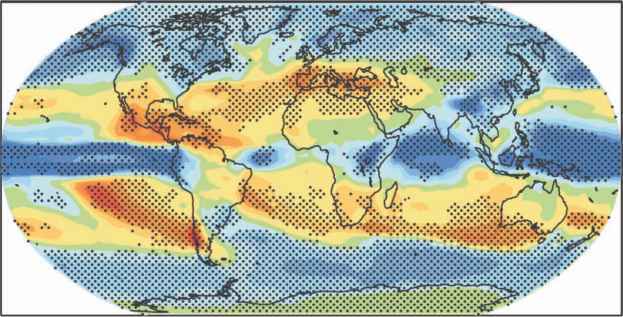 This review highlights the difficulty of separating normal seasonal variations from global climate change effects, due either to subtle changes in temperature or humidity or to extraordinary events. The lack of long-term data is also hampering the ability to document with certainty changes in pest and disease profiles. Crop intensification and economic forces have a strong and direct impact on pests and diseases because changing cropping systems drive changes in pathogen and pest populations in a relatively short time. Climate change is expected to have major effects on population thresholds of microorganisms and disease vectors. The dynamics affecting host-pathogen interactions lead to the selection of new pathotypes or pathogens. They also determine the emergence of new diseases and pests. Options to prevent these effects have been discussed. Among these strategies, breeding for pest and disease resistance is critical and will remain an essential part of germplasm improvement. Increases in yield per unit of area will continue to depend largely on more efficient control of (biotic) stresses rather than on an increase in yield potential (Cassman, 1999). Integrated crop management is therefore the basis for sustainable agriculture. The range of options for adapting to the changes increases with technological advances. It is anticipated that modelling, remote sensing and spatial integration of critical climatic information and its access in near real time through the Internet will also contribute to precision agriculture.